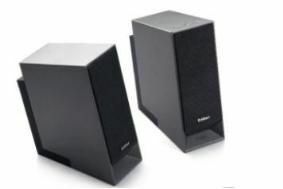 CES 2011: Edifier brings DTS sound to multimedia speakers | What Hi-Fi? The Chinese speaker company has scheduled the new M20 system for release this Spring. DTS Envelo brings a pseudo-surround sound effect to the two-channel speaker system as well as promising 'high definition DTS sound' in standard stereo playback. The system uses 'closely spaced micro-speakers that widen and deepen the sound stage' with any audio input.